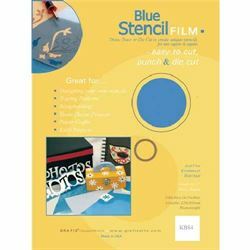 Graphix Blue Stencil Film 4/pk 9" X 12"
Grafix Stencil Film is used to create a hand cut masking stencil that can be taped to a screen for printing. 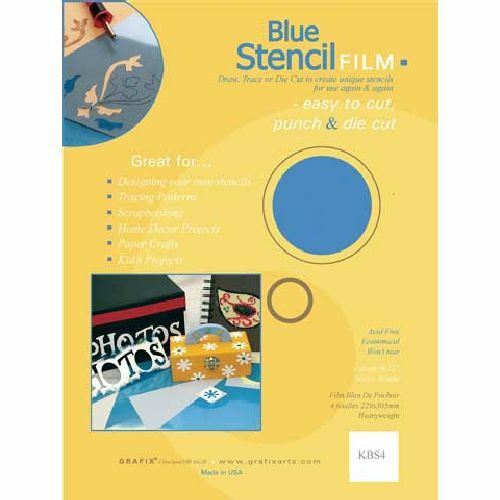 Grafix Stencil films are transparent which allows for easy reference of images. Stencils can be cut with a scissors, cutting knife or hot cutters and used repeatedly. Due to the flexibility of the film, stencils can be used on curved surfaces.